Utilizing our stainless steel cable with powder-coated stainless steel posts and durable Ipe handrail, this deck shines in the beautiful inlet. The white powder coat provides excellent contrast against the dark handrail while not taking away from the water’s natural beauty. 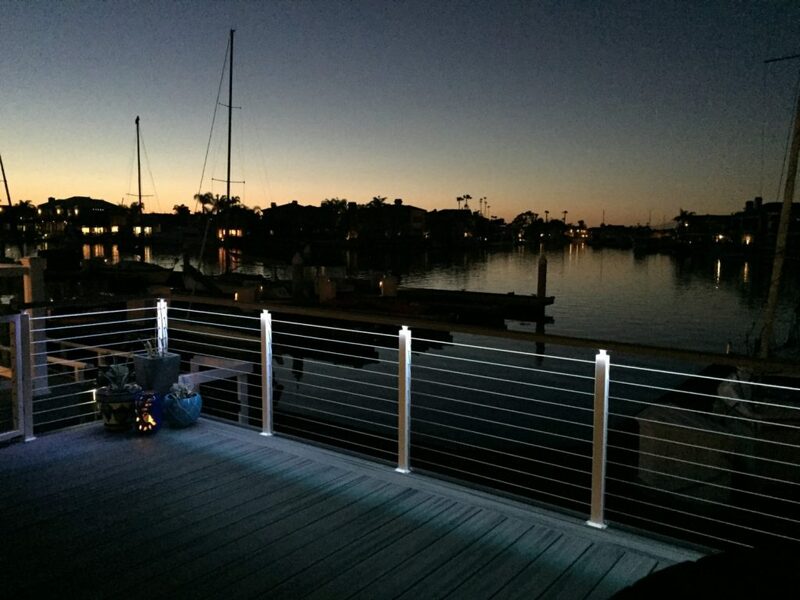 In addition, these customers accented their deck with lighted cable railing by adding lights to their system. This makes their railing a beautiful beacon beside the dark water.